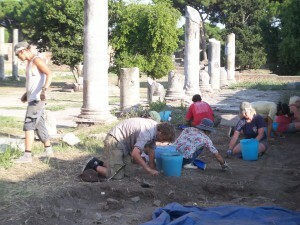 – of our finds (coins, ceramics, small finds, all sorts of marbles, inscriptions and large finds). c.) assist in working up a certain part (the undocumented Forum-pavements and marble-deposits) of the world’s largest-scale excavations of Guido Calza until 1941, which are still not completely scientifically analysed. 7.) flexible concept of including autonomous teams of changing international cooperation partners, adapted to every working campaign‘s changing needs. 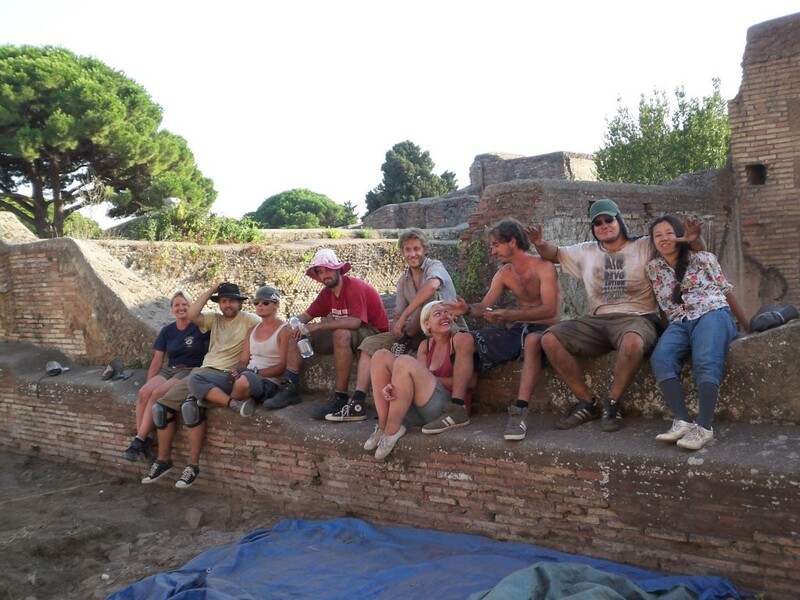 To be able to continue our research in the centre of the world’s largest excavation-site, all further cooperations with universities and institutions are most welcome! Our working-programme for the next years can contain at least 7 major project-areas, based on our excavation-data, finds-material and research-interests. Each of these areas is subdivided into several autonomous subprojects (compare chapter “Subprojects“) and supplementing research-projects, also for BA-, Master- and PhD-thesis. All marble-piles and -fragments found in MFD/TDV in 2012/2014 are waiting to be fully documented. This systematic documentation started in 2014 – its continuation is planned in a cooperation with Kiel University, Germany (Kiel-University, see 2014 Chapter 2). 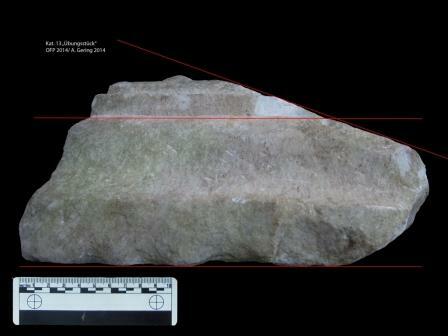 Approximately 40% of the finds of 2012 from TDV were already processed in 2014 (see pictures below). 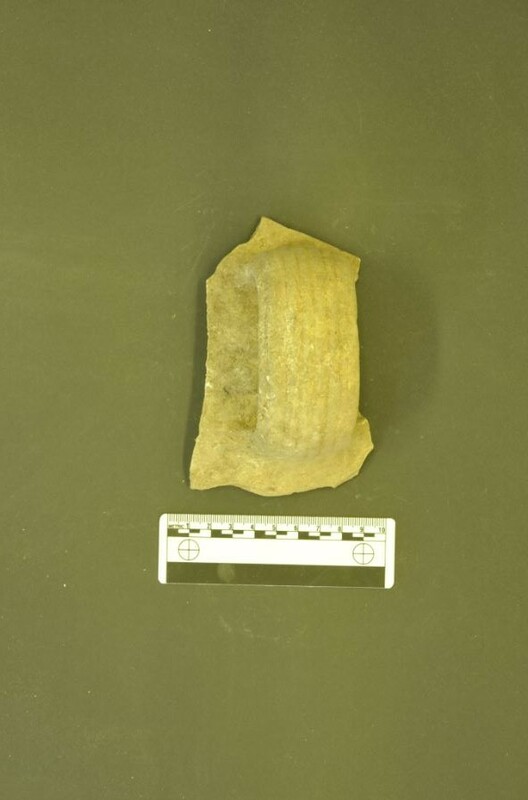 A major part of these fragments clearly came from the Roma and Augustus temple – mostly from the pediment, but also from architectural decoration elsewhere (for example the door or the inside decoration). The work-up of the remaining 60% from TDV and the material from three other marble-deposits in its ‘backrooms’ and immediate surroundings, all found in 2012 and documented by laserscan in 2014, need at least two more working-campaigns (2015/2016) to be completed. 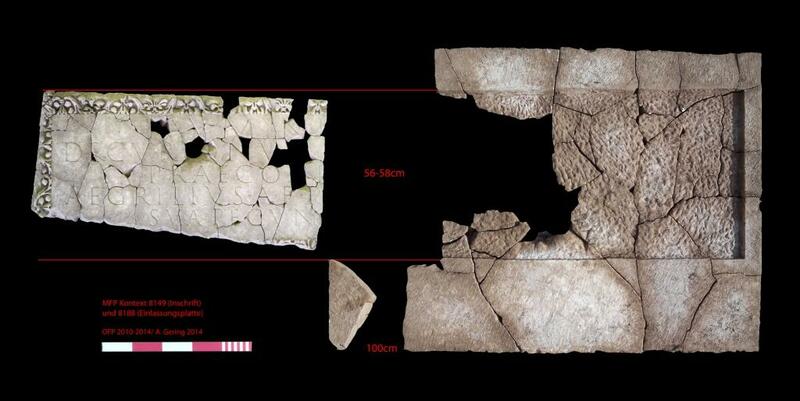 Every fragment has to be drawn by hand, measured and photographed, before we can pass it on to the 3-D-documentation-process (compare 2014 Chapter 1 and 2014 Chapter 2). 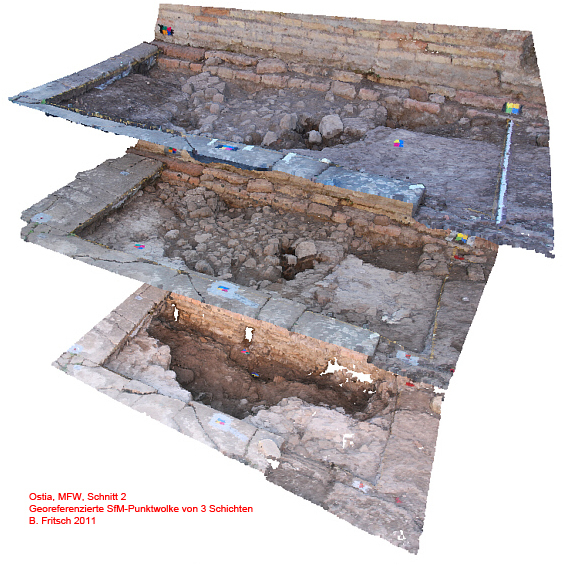 The complete virtual reconstruction based on our 3-D-data of the marble-finds from 2012/2014 (see pictures below, compare 2014 Chapter 3 and 2014 Chapter 4) is planned for 2015/16, as part of the scientific work-up of Calza’s old Forum-excavations 1921-1923. 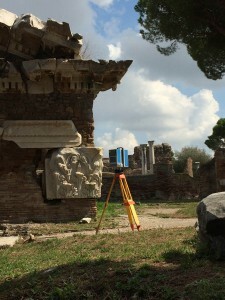 A systematic documentation and virtual photografic- and 3-D-catalogue of all not previously recorded marble-fragments from the Forum could benefit our knowledge of the Forum’s topography on one hand, and the working-conditions in the (already quite full) finds-deposits on the other hand. 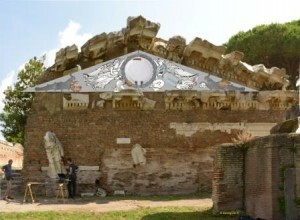 With these fragments, it will be possible to reconstruct the original architectural and sculptural decoration of the Forum’s plaza and the surrounding public buildings of the Forum, primarily for scientific purposes, and secondly as a digital vizualisation for broader access (which could be web-based, also for smartphones used on site). 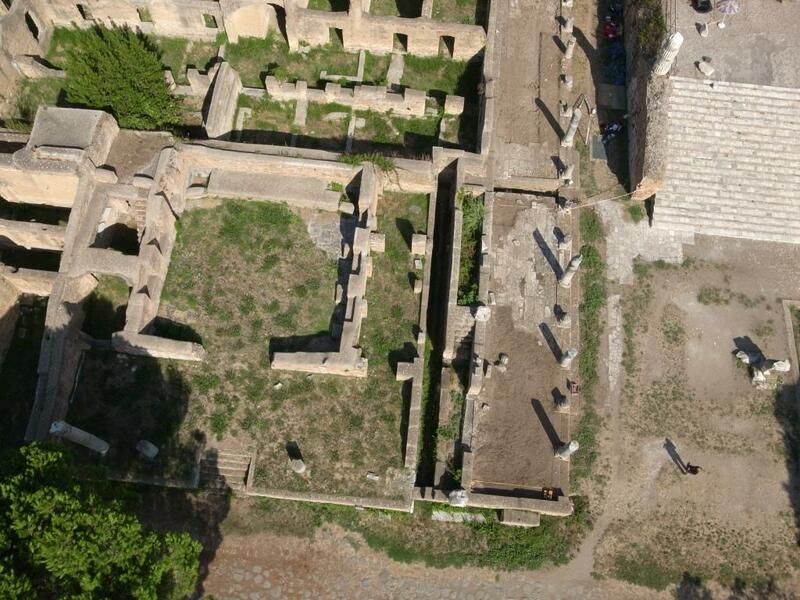 Furthermore, a possible side-effect could benefit local tourism in Ostia by preparing a public presentation on site, or an international exhibition on recent research in Ostia, maybe partly based on small-scale reconstruction-models made with 3-D-printing-technology. 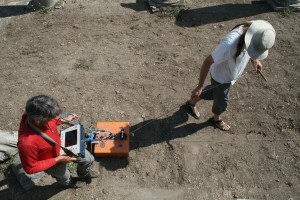 The digital data of a first geophysical-survey in 2011 in cooperation with Eastern Atlas (see picture below) should be verified by a planned geophysical survey in 2015 in cooperation with the Catholic University of Hungary. 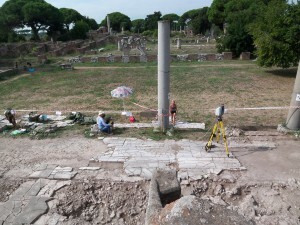 Both surveys have one of the main objectives to reconstruct Ostia’s first Forum concepts based on all previous excavation-trenches (which were unearthed by former excavators, but recleaned and firstly documented by OFP, see pictures below). 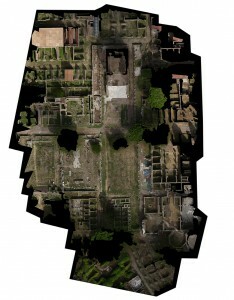 All previous excavation-data should be used to reconstruct the original planning-concepts of diverse predecessors of the partly Hadrianic/Antonine and partly late antique shape of the Forum, which is visible today. A main factor of the research is based on exact measuring, supported by the virtual 3-D-Forum-model, which will be completed by external cooperation-partners as for example the German Aerospace Centre. 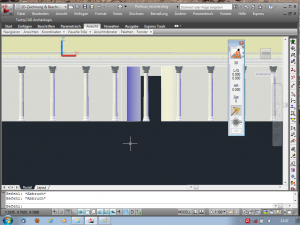 In 2012, we found very characteristic axis-symmetries of buildings, which once belonged to the same building-phases. They partly corresponded to the ‘ideological’ centre of Rome’s first colony, the so-called mundus, which we studied in detail by building-analysis and further geophysics (compare pictures below). 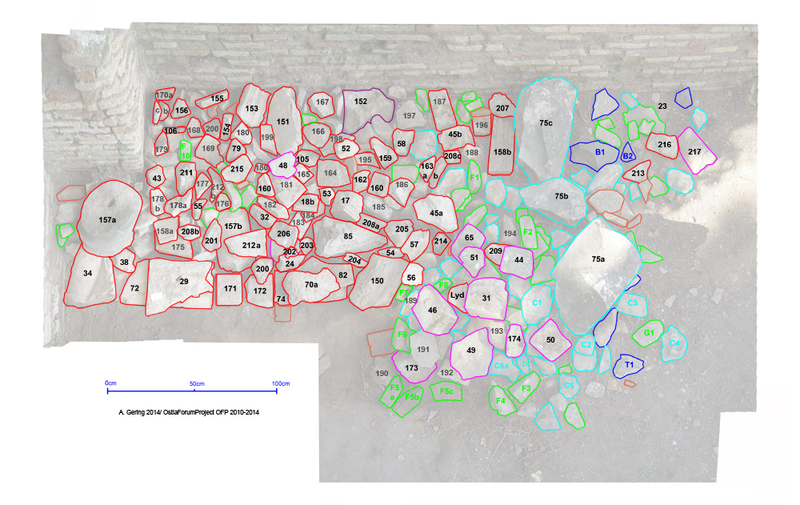 Analogies between several axis-symmetries have to be analysed in the whole city-centre, based on our previous and actual surveys. 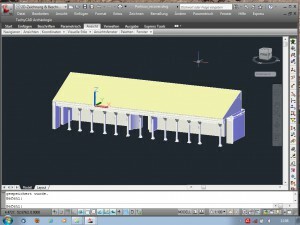 Additional fine-measuring with tolerances under 1 cm can in future campaigns supplement our digital archive of 3-D-data with the aim of a complete reconstruction of the Forum’s complexe building-history and building-sequences by analysing all planning-axis-deviations and -symmetries. This project can be subdivided into several subprojects, on one hand for technical PhD-thesis, on the other hand for archaeological PhD-thesis. This subproject will be completed with the digital material provided in cooperation with the German Aerospace Centre / Zentrum für Deutsche Luft- und Raumfahrt (DLR), Bernhard Strackenbrock & Birgit Tsuchyia. 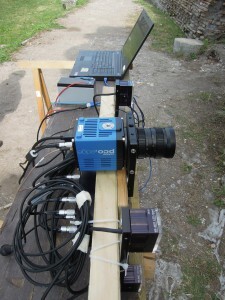 This subproject is planned in cooperation with DLR and H. P. Thamm (Geo-sciences, Freie Universität Berlin). 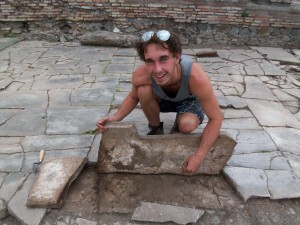 This subproject is planned in cooperation with Astrid Fendt and Lena Kaumanns (Epigraphy, Berlin-Brandenburgische Akademie der Wissenschaften BBAW). This subproject is based on new research (PhD-thesis) on wooden seating facilites, which were temporarily installed in front – or inside – the Forum’s porticoes, when important spectacles, games or festivals of the city-culture were held. 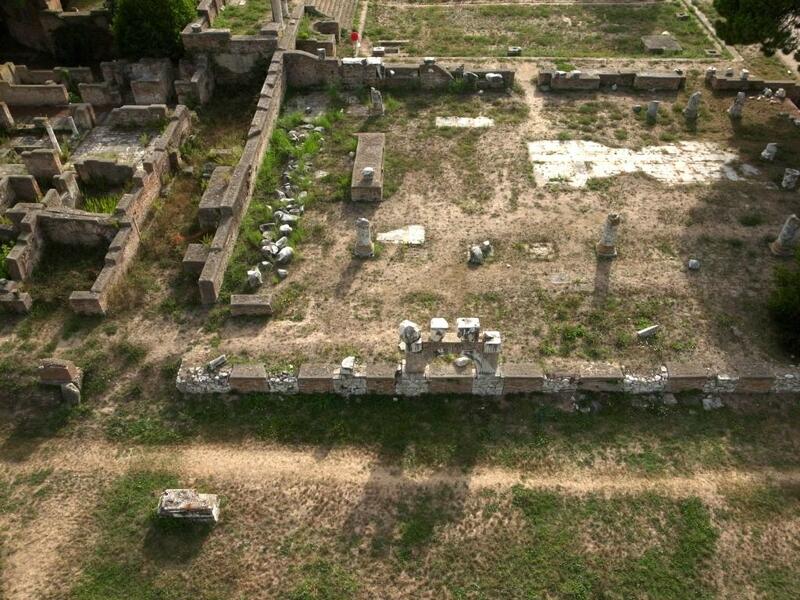 The Forum, until the 5th century surely the most important public space, was an ideal finish for processions. 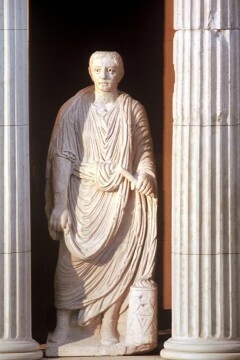 Processions along the Decumanus are well documented, also in Late Antiquity. 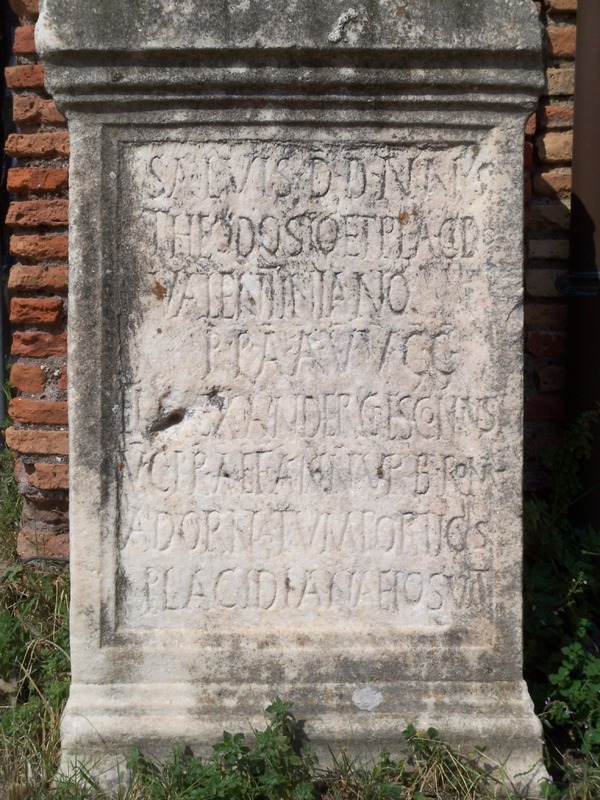 The arrival (adventus) of Roman city-magistrates in Ostia happened frequently – they could have had political or religious reasons. 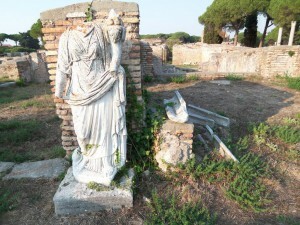 Even pagan processions were recorded until the 6th century AD in Ostia. 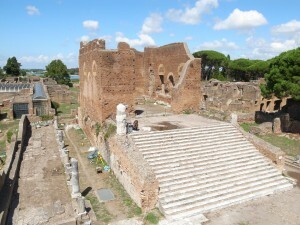 The theatre was fully restored in the 5th century for aquatic shows: Additional or similar theatre-games or -events might be assumed in the Forum too, Ostia’s biggest open air-plaza. 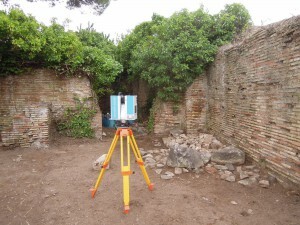 The main aim of this subproject is to document and measure all postholes and similar traces of ancient use systematically. 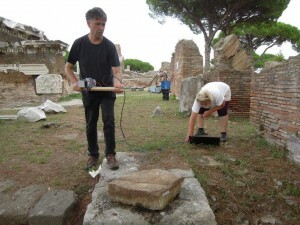 Did regular ‘modules’ for wooden-constructions exist here in Ostia too, as we know them from for example in Fregene, Paestum or other cities in middle and south Italy? 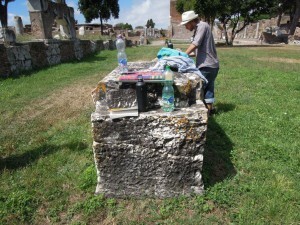 Based on more than 26 postholes in the marble slabs and/or their mortar-bedding discovered in MFP alone, it should be possible to reconstruct the dimensions and the construction-technique of wooden seats, tables or market-stalls inserted temporarily into our portico-pavements of the whole Forum (see pictures below). 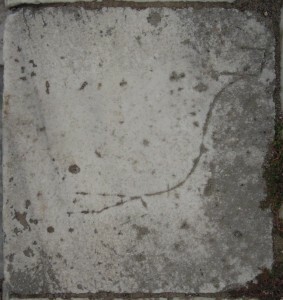 The Forum’s late pavements show imprints of quite irregularly shaped spolia-bases (see pictures below). They were renovated or newly built inside the porticoes of the late 4th or 5th century AD to protect statues, which obviously had been transfered from somewhere else before. 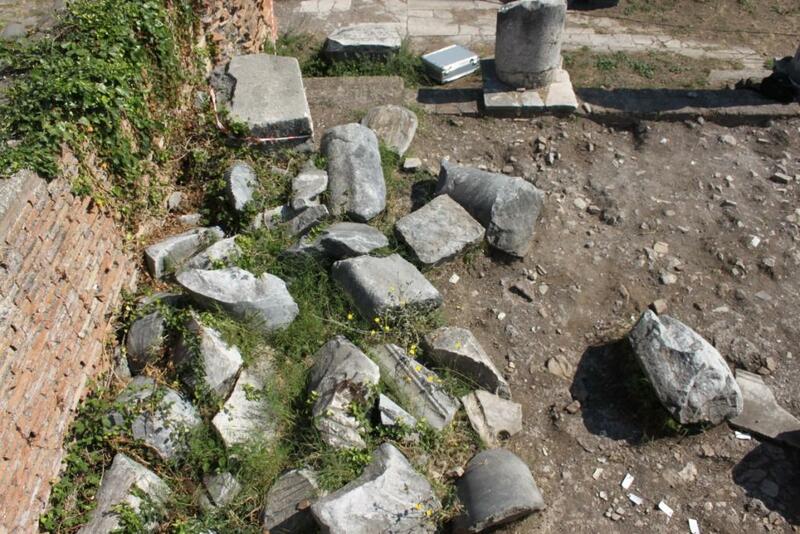 Here we have a clear evidence of one of the latest collective ‚revivals‘ of pagan statues in Antiquity. 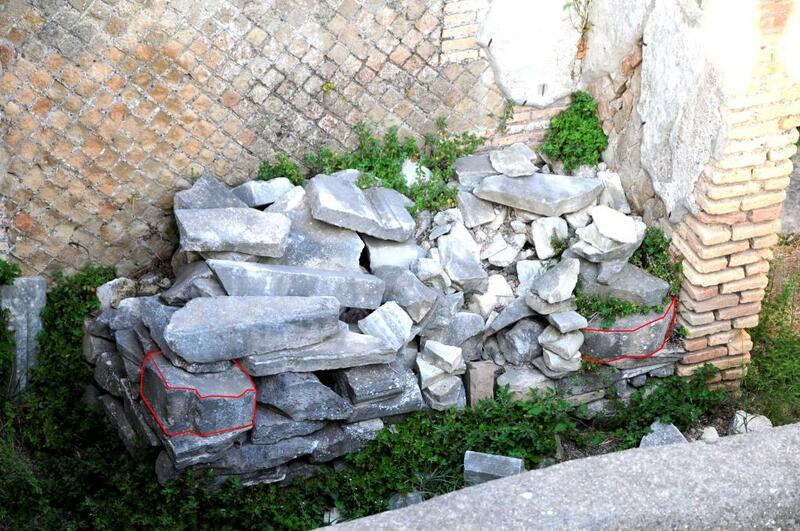 The statues were obviously covered in situ in the collapsed porticoes (later 5th or 6th century AD?) 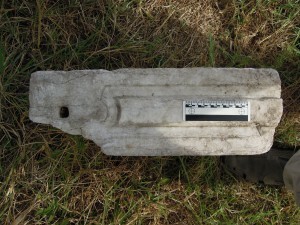 and mostly found in the early 19th century. 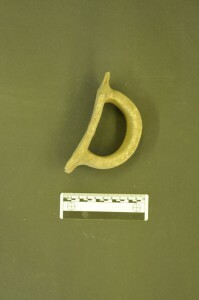 They can be traced in several museums worldwide. The question is, whether pagan statues were „saved“ randomly as simple decoration or whether there still was a certain „programme“ regarding their collocation in the 5th century AD. 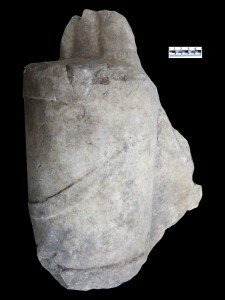 The variety and completeness of the preserved statues are surprising: This seems to confirm the concept of the „dei consentes“, a concept with the aim to present (even in an advanced ‚Christianized‘ atmosphere) a ‚didactically‘ representative selection of the mythological past of the Graeco-Roman city-culture. 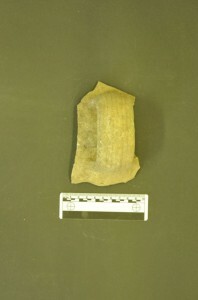 The finds-catalogues of 1801-1805 were published in 1912, but the information is not sufficient. 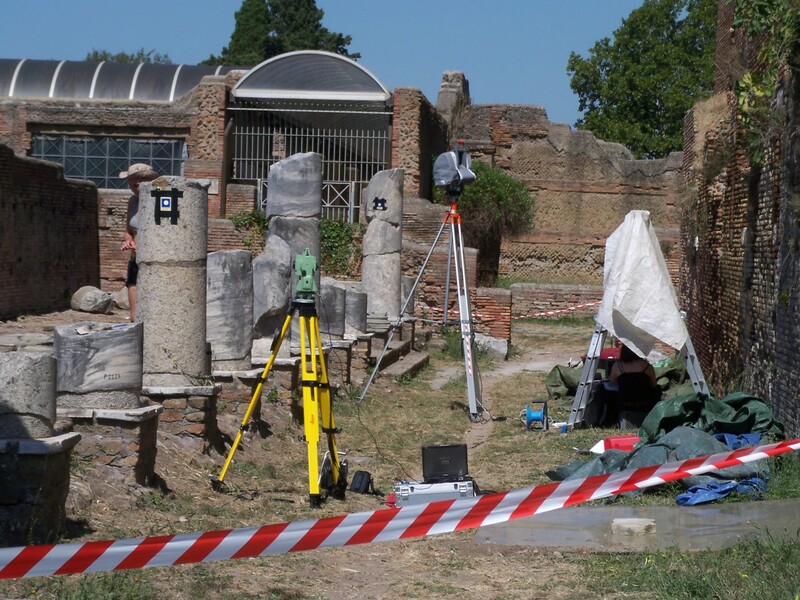 The main aim of this subproject is therefore to conduct archival studies on supplementing catalogues and finds-books in the Vatican and other museums in the attempt to collect all statues from the first Forum-excavations. 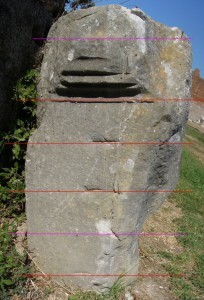 Additionally, the spolia-bases and -imprints found in 2010-12 have to be reconstructed fully in comparison to similar late antique statue collocations as for example at Sagalassos. 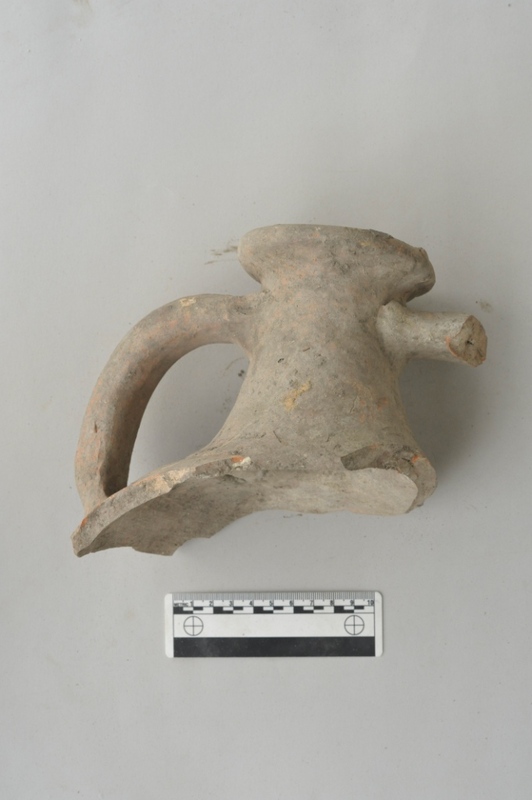 Furthermore, new material (statues and bases) was found in the late 19th century-excavations and until 1924. 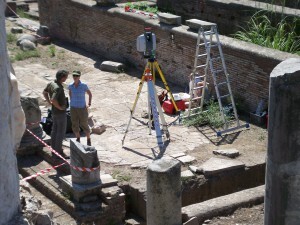 This applies mostly to material, which is stored in the deposits at Ostia. The archives, deposits and OFP’s new finds provide enough material for several PhD-projects regarding statue contexts, partly in possible cooperation with the Freie Universität Berlin. 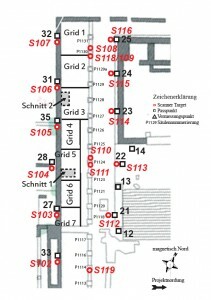 This subproject is planned for 2015 in cooperation with Silvia Polla (Archaeology & Archaeometry, Freie Universität Berlin). 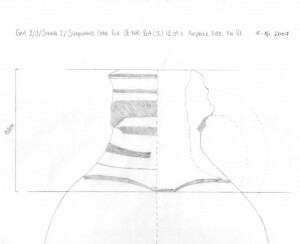 In Berlin’s laboratories, microscopic samples of the amphorae can be used for a content analysis in the attempt to answer the main question of their former use (basically: wine or oil). 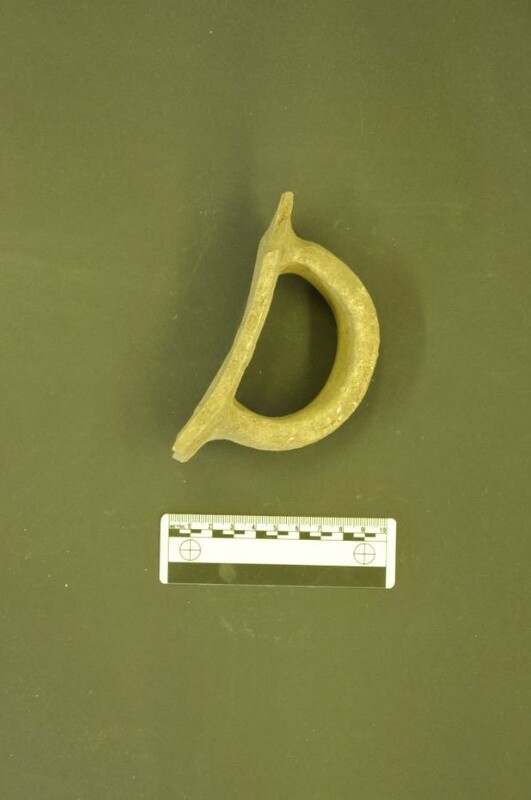 Based on a large quantity of material, this can be a very important source to reconstruct trade and the late antique economy of the whole Mediterranean. A side-effect of Polla‘s study for the OFP is that our ceramic-material will not only be dated and classified, but we will also get all possible archaeometric laboratory-data regarding the ceramic’s chemistry and provenance – for free. What we offer to Polla’s much more representative study in exchange is an exceptionally „sealed“ context of ceramics found underneath the last pavements of Ostia’s Forum in 2011. This context is equally important for Polla’s study (Ostia’s market is representative for Rome) and for us (MFW trench 2 is one of the most important sources for dating our mortar-stratigraphy of the latest pavements). 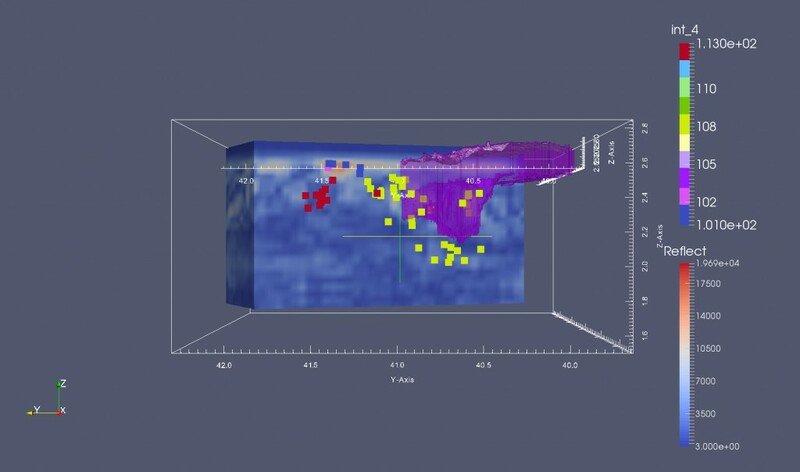 Therefore, back in 2011 we used the maximum care to document the micro-stratigraphy of this context (including all single finds-positions in a 3-D-model). 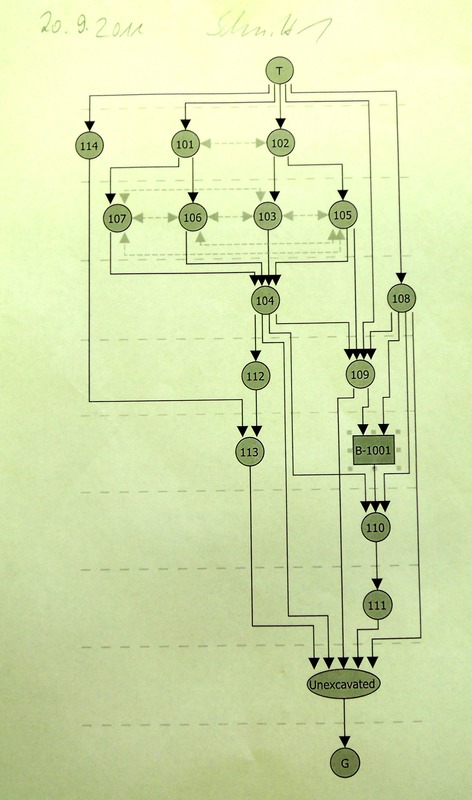 Contexting was done manually by us and digitally by Undine Lieberwirth’s subproject to OFP and Bernhard Fritsch (both Excellence-cluster TOPOI Berlin: see pictures below). For Polla’s subsequent analysis in 2015 and 2016, the involved laboratories will use tested methods of gaschromatography and mass-spectrometry. 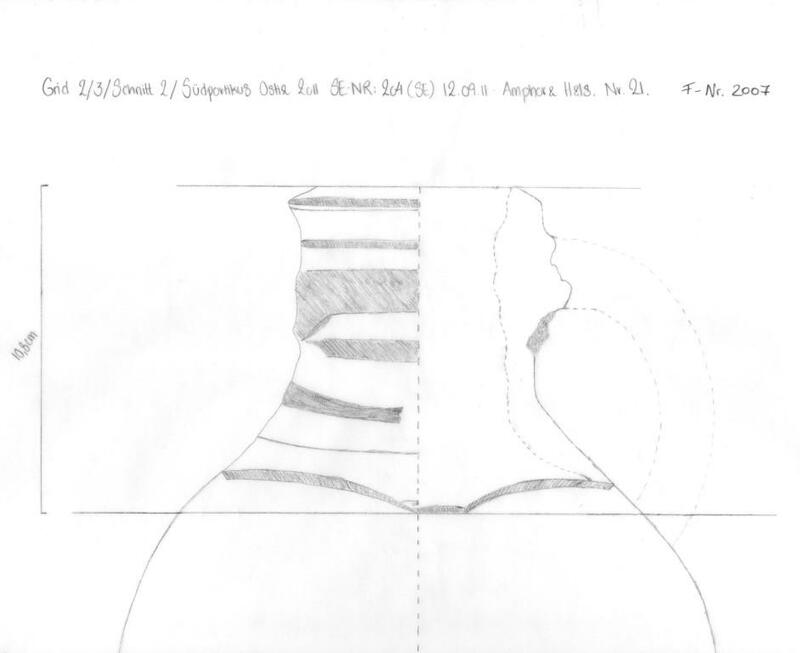 Her study is already based on a wide framework of archaeological sites, mainly in North Africa, where also the main part of our ceramics (which was found in late Forum’s contexts) comes from. 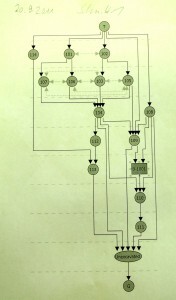 Subproject 5a.) 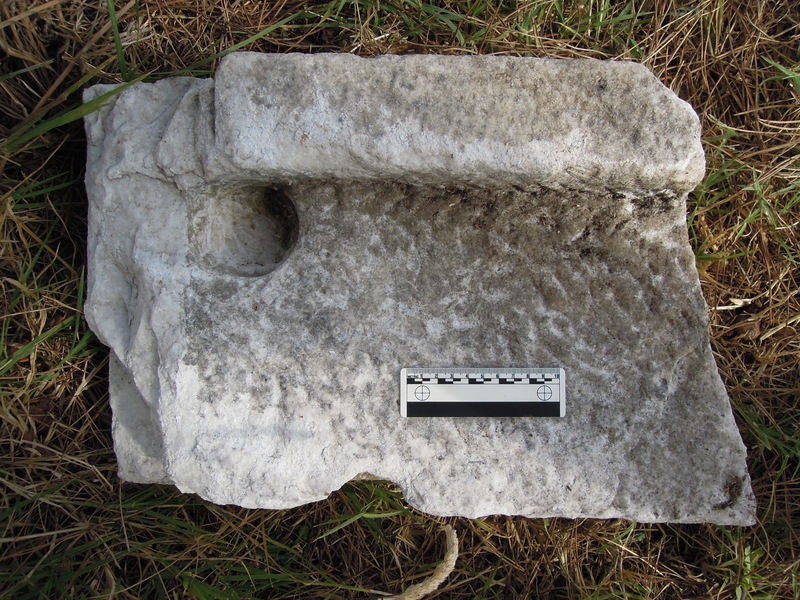 Late antique marble reuse in the context of OFP’s new deposit finds around the Forum: How was reworking for the spolia trade organized? Capitals (see pictures above), which had been converted into wells or fountains, were quite often found in late antique cities. 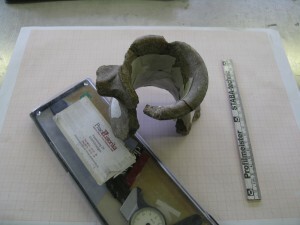 Similar pieces were found at MFD/TDV in 1923. 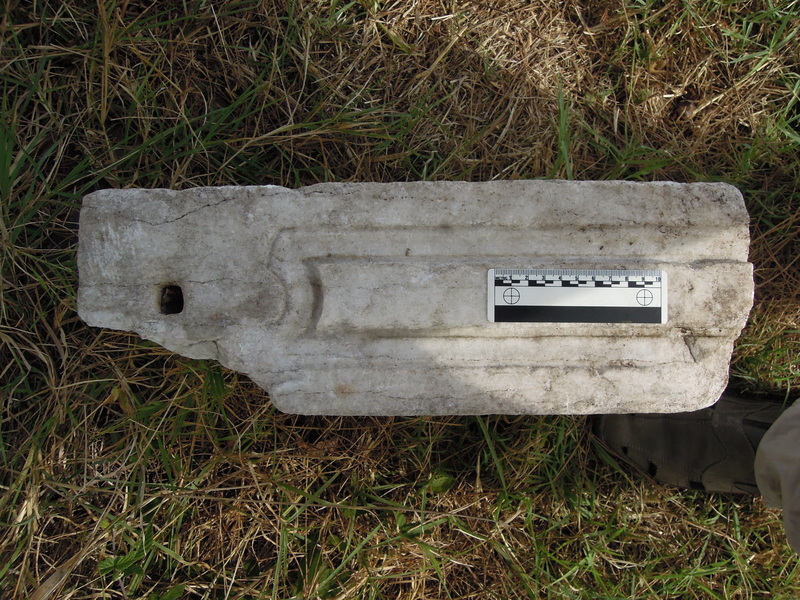 Also, OFP’s new 2012/2014 finds, like thresholds from TDV and CAW or ‘random finds’ from the older excavations (see pictures below), had been reused from architectural elements (see pictures below). 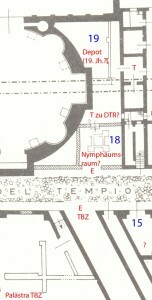 Dating evidence for similar recycling processes is provided by a terminus post quem (TPQ) for the recycling of the collapsed Roma and Augustustemple (see pictures below). 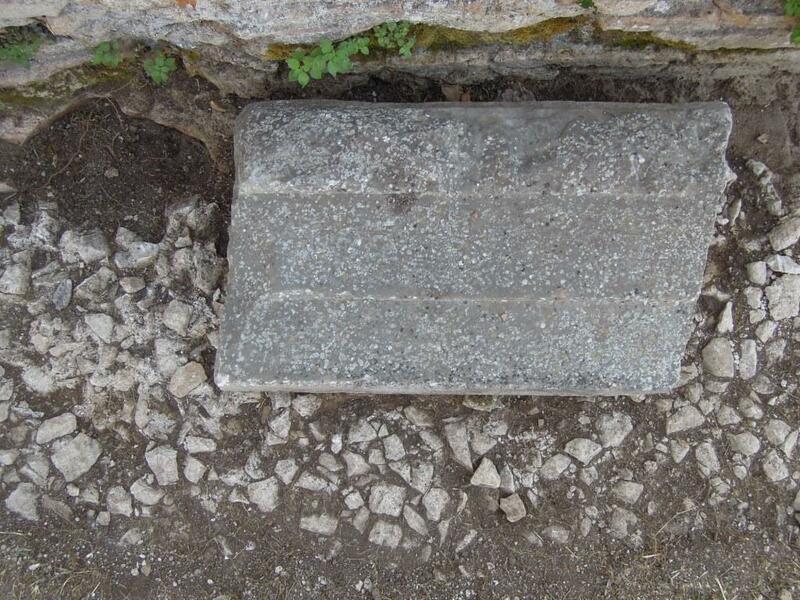 Recycling from architectural elements to more basic functions seems to have been practized on large scale – maybe mainly for some decades between 450 AD and our latest stratigraphy from 500-550 AD. What were the reasons to give it up? Why did so many fragments survive half finished? 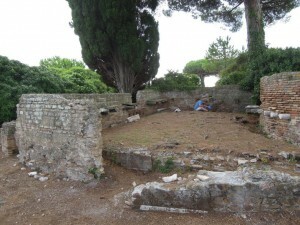 When exactly and how was Ostia’s Forum deserted? 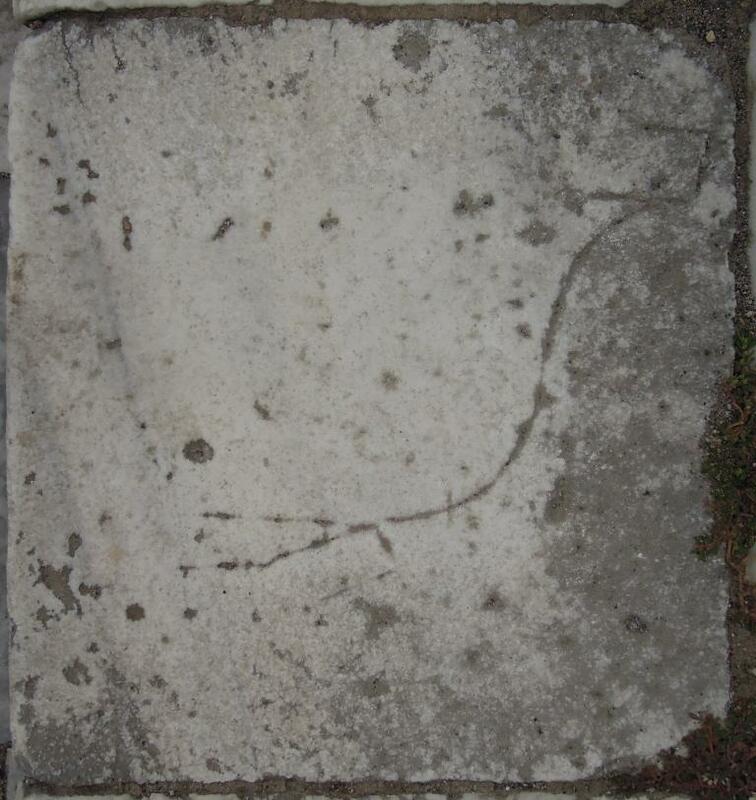 And why did ‘drawings’ from architectural elements survive (see picture further below)? The aim of the subproject would be to conduct comparative spolia research of all marble accumulations around the Forum. 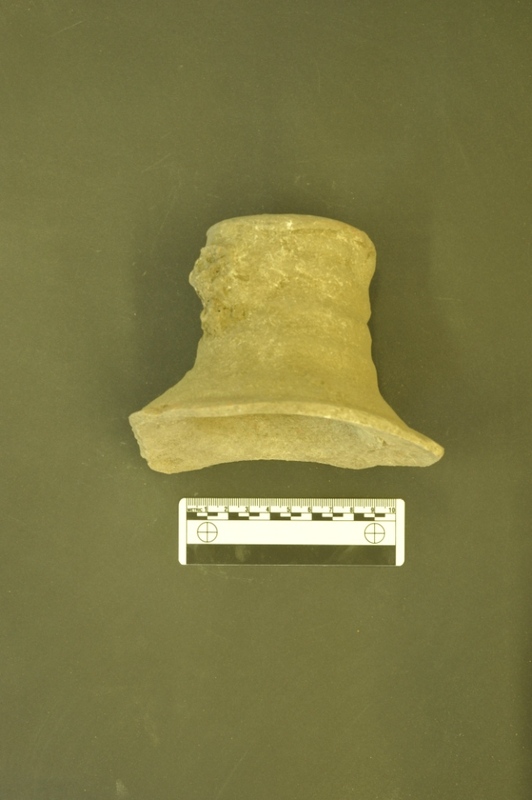 The finds contexts of reworked material range from late antique, medieval to modern times and from workshop deposits to lime kilns to excavator’s stone collections. 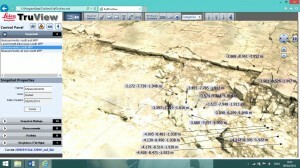 First step will be the analysis of excavation history to be able to date the marble deposits. Next step is the local building analysis of all individual marble deposits as a case study. 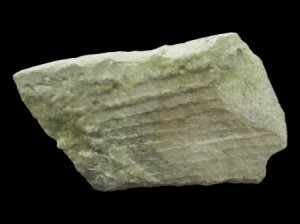 Third step is, based on the undisturbed marble deposits, the reconstruction of the material‘s original provenance. 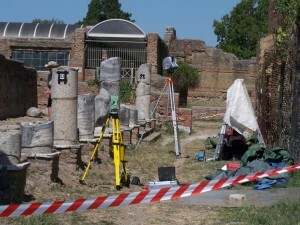 With the material from the 2012/14 marble piles of TDV, we start with the working hypothesis that several late antique workshops around the Forum obviously could have „bought“ regularly divided „claims“ in order to get the material for their production. This is verified by a few case studies, but has to be analyzed on the full representative quantity of material available. The complete working up of marble deposits and their „claims“ will provide most important evidence for spolia „business“ from the 4th to the 7th century AD, a subject of a widespread recent reserach interest. It will provide furthermore insights into the undocumented excavation history until the late 19th century and last, but not least: „claims“ may demonstrate a previously unknown evidence for strong communal controle, still in the late 5th and 6th centuries AD. 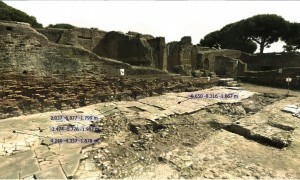 The aim of this subproject would be the dating of the last building- and destruction-phases by the complete work up of all coins hitherto found by OFP in the latest preserved contexts underneath or above spolia pavements in MFP, MFR, MFW and MFD/TDV (approximately 200 datable coins, mostly nummi). 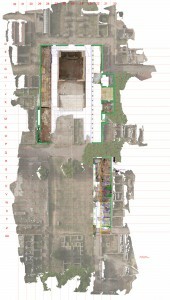 Based on a high quantity of material evidence – in comparison with other excavation areas – it will be possible to write the destruction history of Ostias city centre more precisely. 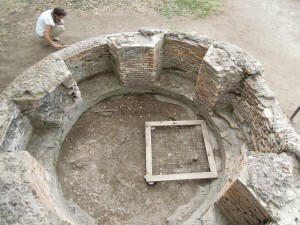 The main question would be how to define Ostia’s city-center in comparison to the areas outside, for example along the coastline. 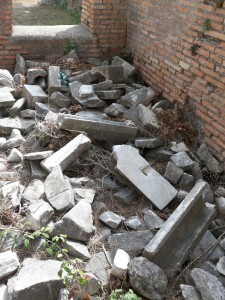 Was the center left to destruction earlier than the last luxury-seaside villas? 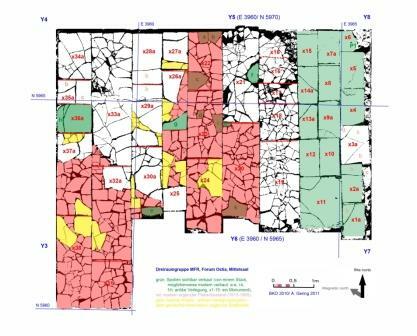 Or can we verify the opposite hypothesis regarding the latest main restoration-phase in the center versus processes of abandonment in the suburbs? Subproject 5c. 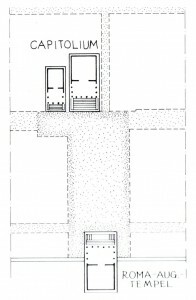 ): Fine dating of spolia buildings by coin evidence: Was public infrastructure of the „consumer city“ maintained after the middle of the 5th century AD? 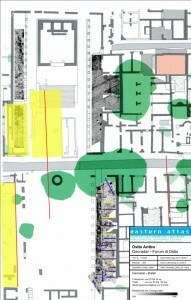 Our evidence from several building analysis until 2014 regarding porticoes, late antique fountains, toilets and „fountain houses“ or other social ‚meeting points‘ (Schmölder-Veith 2010, see Project Related Bibliography) in the context of the Forum should be center of several comparative case studies (PhD projects). 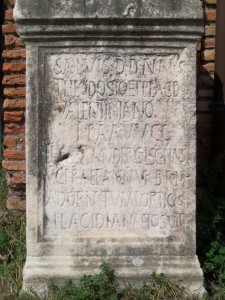 The latest newly built porticoes in Ostia are documented by finds only – in Portus at least one building inscription has survived, which documents building activities and the decoration of a „porticus of Placidia“ in the middle of the 5th century AD (see picture below). 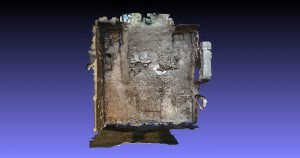 One specific building in direct context of the entrance repair (third phase, after the middle of the 5th century AD) of the so-called Terme Bizantine (TBZ, see picture below) was cleaned in 2012 but not yet documented: 3-D-documentation of the remains and the interpretation of the 2012 finds is one of the aims for the 2015 campaign. In the marble piles of the southern half of the Forum, which were archeologically cleaned in 2012 and analyzed in detail in 2014, we have found a surprising amount of material from pagan cemeteries. 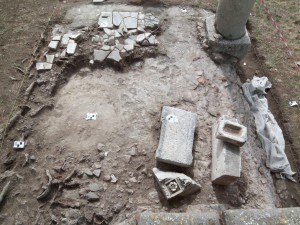 These cemeteries had been usually situated outside the city-walls, so the questions remains: Why did we find this material connected with specific builing-rubble from the south Forum’s area? 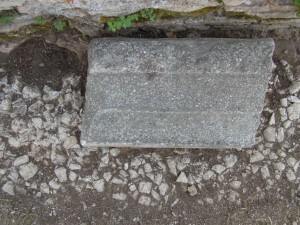 A first interpretation of the reuse of these marbles, mostly sarcophags and “loculus-” inscriptions as late antique building-material, can be based on the systematic spolia-survey regarding the reuse of marbles from cemeteries inside the late-antique city (see bibliography: Axel Gering’s Habilitation thesis). Further discussions of statues beeing reused inside the city were based on the fundamental research of C. Murer regarding the late decoration of private houses and baths (this detailled study of C. Murer will be published soon). 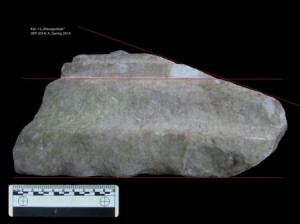 A closer interpretation of all material found by OFP until 2014 (sarcophags, statue fragments and decoration elements from cemeteries) is planned in cooperation with the University of Kiel (see above). Another aspect would be the study and interpretation of the previous finds until 1924 regarding material and sculptures from pagan cemeteries. 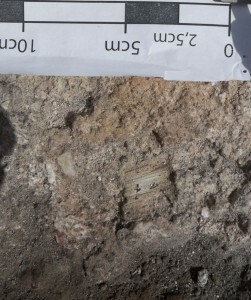 The characteristic “mixture” of marble elements in TDV (see above) shows clearly that this material was not brought from the cemeteries inside the city to be burned to chalk here. 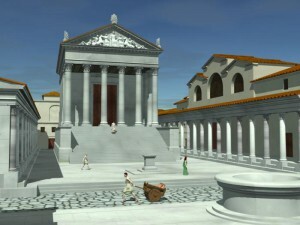 Much more likely it had come from the secondary context of its reuse, that means: from the Forum itself. Especially the significance of late statue re-erection after catastrophic events (the earthquake of 442/ 443 AD) in the Forum will be analyzed to gain a new understanding, if former ‚funeral‘ sculpture in mythological contexts (compare Wrede 1981, see Project Related Bibliography) could have replaced the original imperial public statues (which maybe were partly demolished or robbed) in a framework of an ongoing demand for public aesthetic (ornamentum urbis) in the 5th century AD. 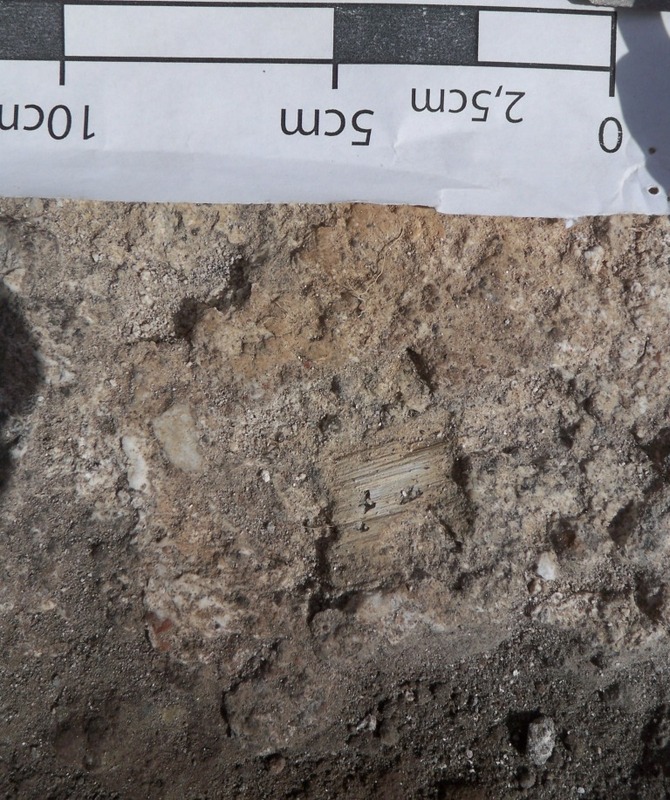 In 2011 and 2012 we have found and recorded many organic finds and bones too (which are stored in plastic bags in the deposit at Ostia). A cooperation with laboratories specialized in analizing organic material, animal bones & the DNA analysis of human bones is planned for the next years before the material looses its information. 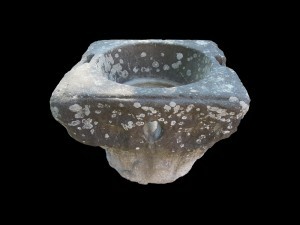 Wood and plants were preserved extremely well in certain mortar-layers. 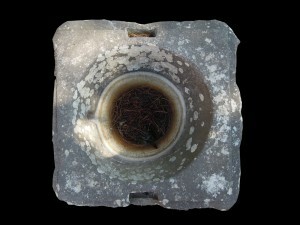 These mortar-layers belong to the last building-activities of the city. 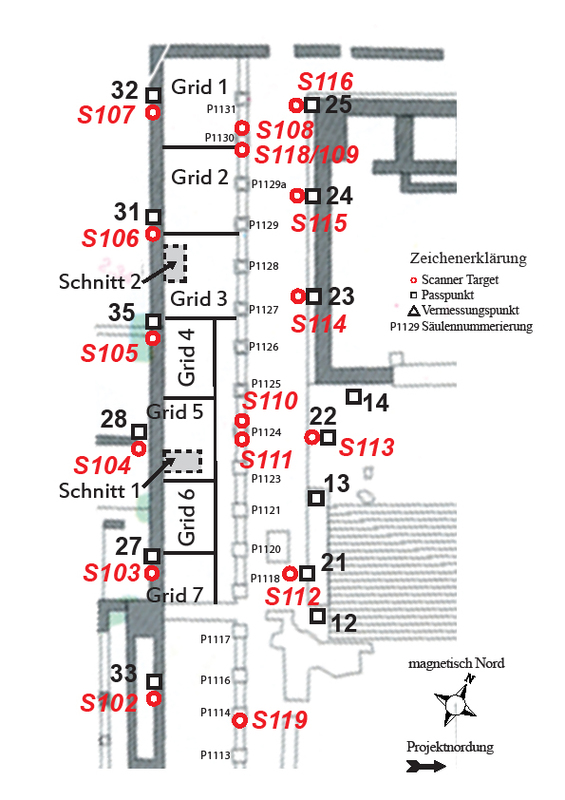 Because of their importance for interpretation a few microscopic wood-samples were already taken to Berlin in 2012 to be analyzed in TOPOI-laboratories under the initiative of Undine Lieberwirth (compare picture below). 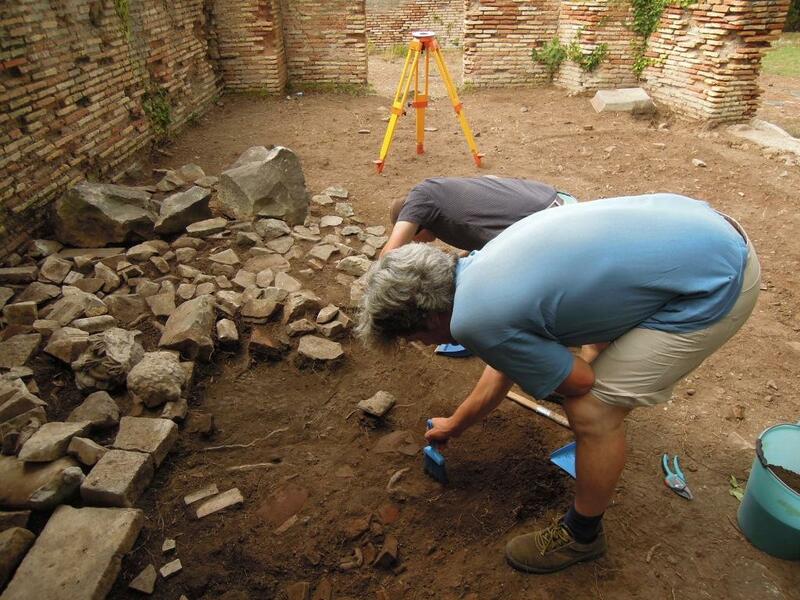 The extended research-project would include all our 2011-2012-finds aiming to get a broader understanding of the organic finds from previously undated mortar-stratigraphy and embedded objects. 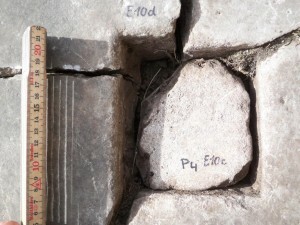 The analysis focusses on the last preserved surface-layers of street- and plaza-pavements which are every year massively reduced by erosion and mass-tourism. 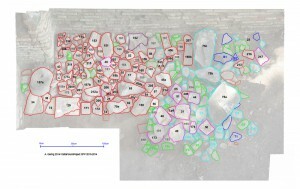 The research should include all signs of a possible latest market reuse (animal-bones) or even „inofficial“ intra-urban burial contexts in these latest street- or plaza-levels too. 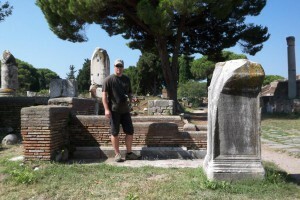 By dating these activities more precisely even the “end” of Ostias “classical” urbanziation-patterns in the “dark” early-middle ages, the largely unknown 6th and 7th cenutries, could become historical fact beyond speculation. Therefore: for all these projects to successfully happen, support the OFP for future research in the center of the world’s largest excavation-site!